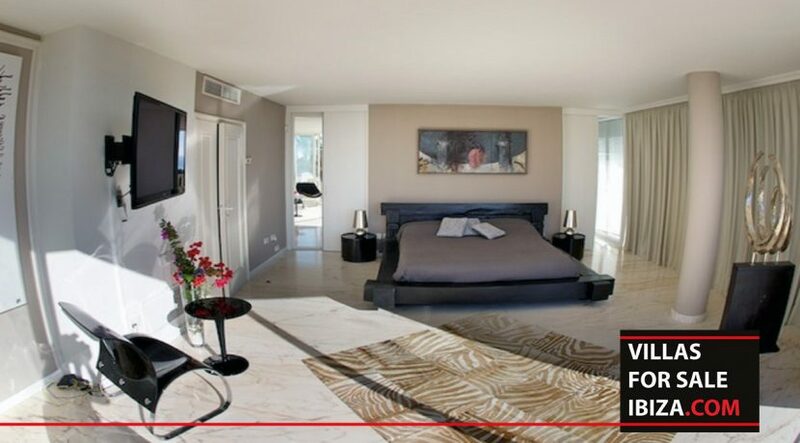 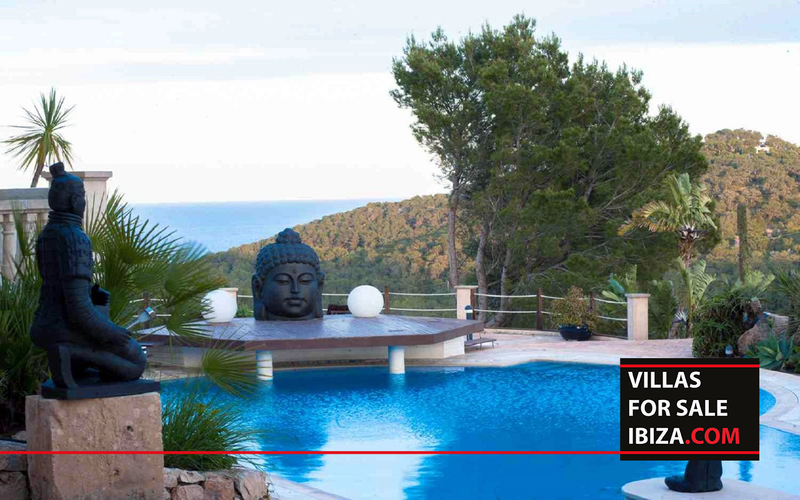 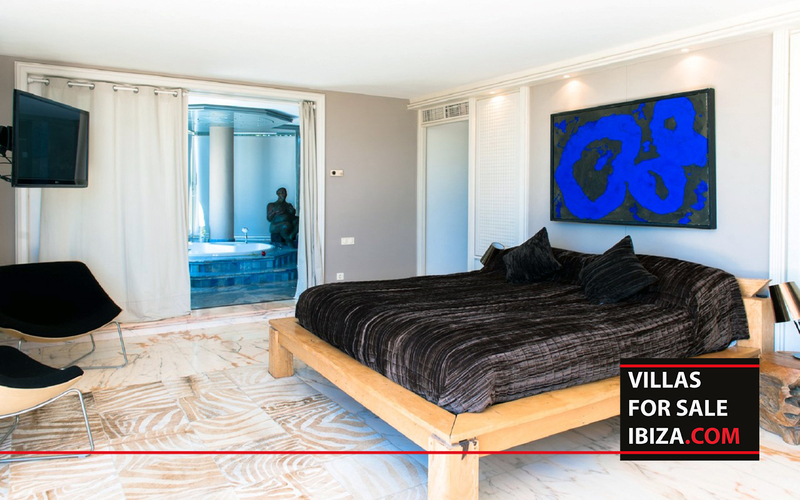 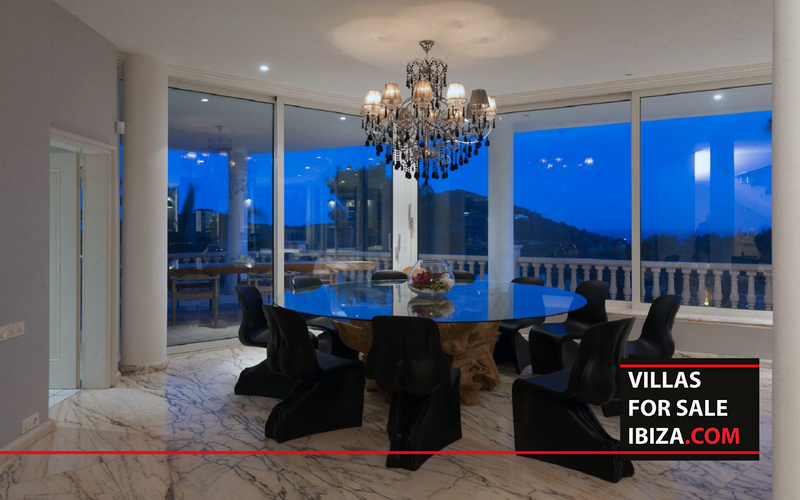 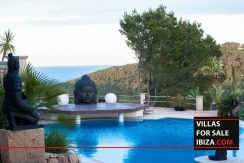 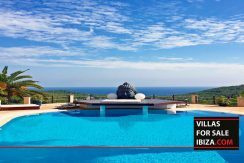 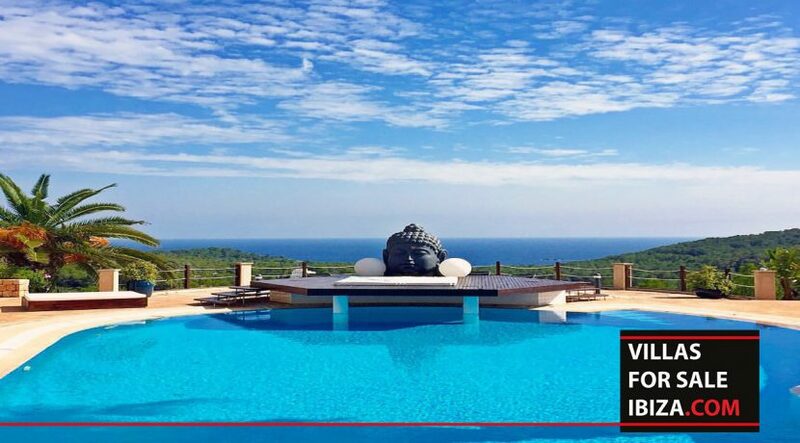 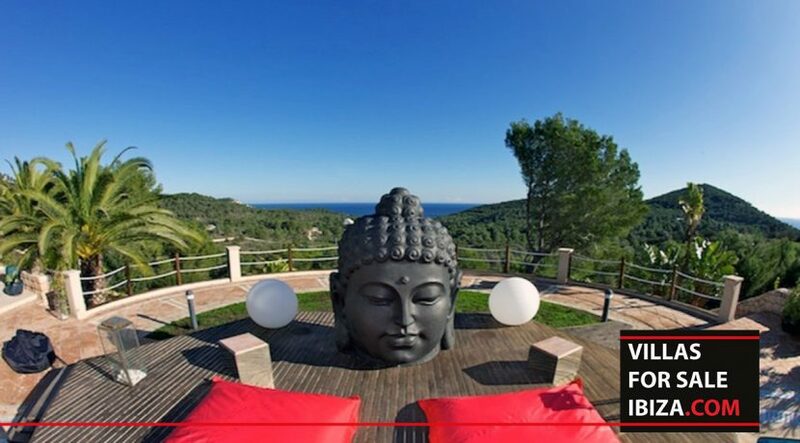 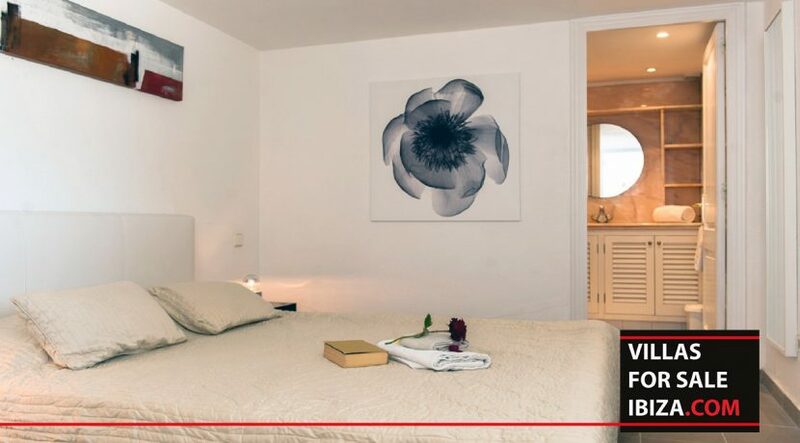 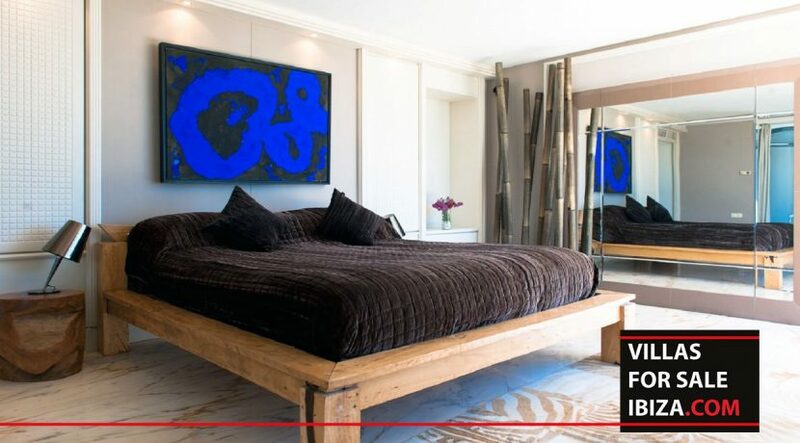 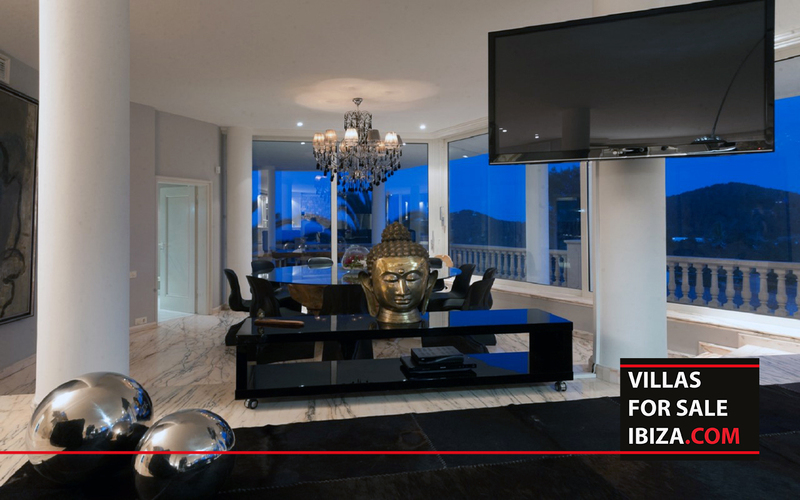 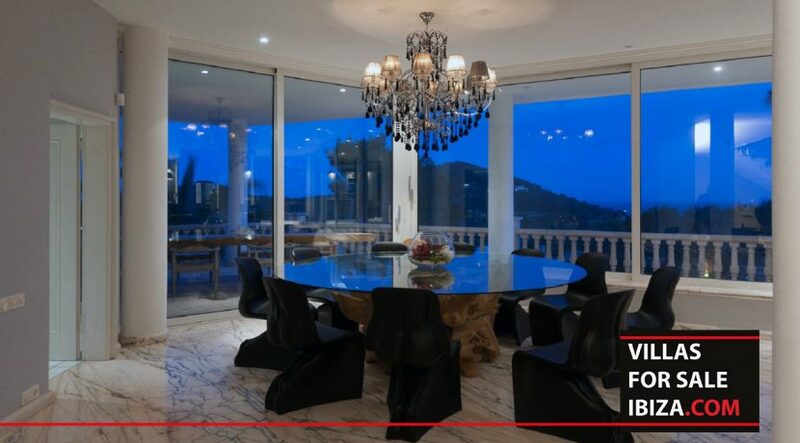 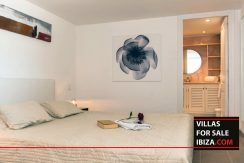 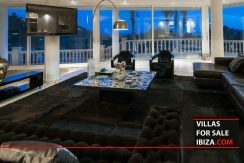 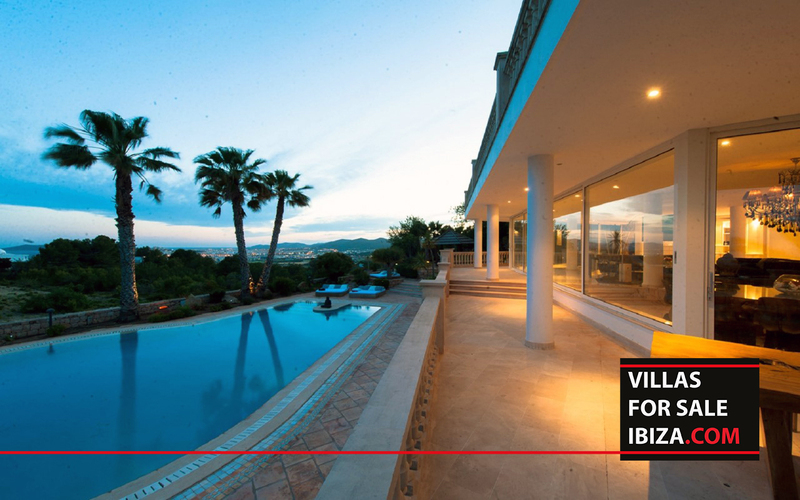 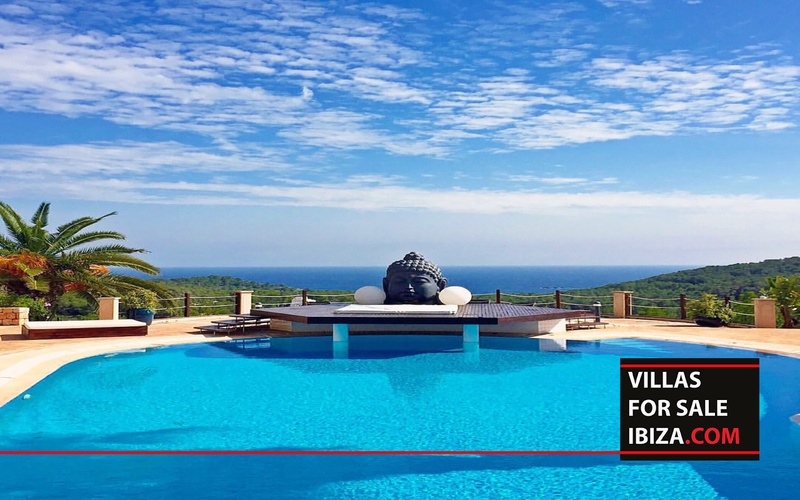 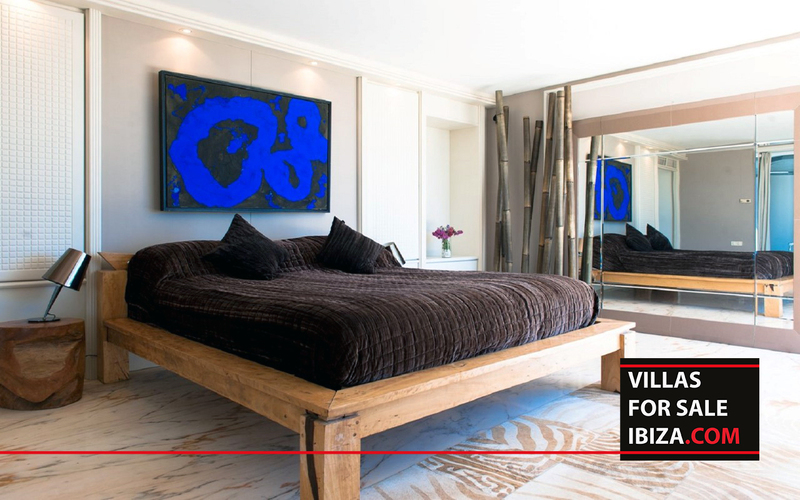 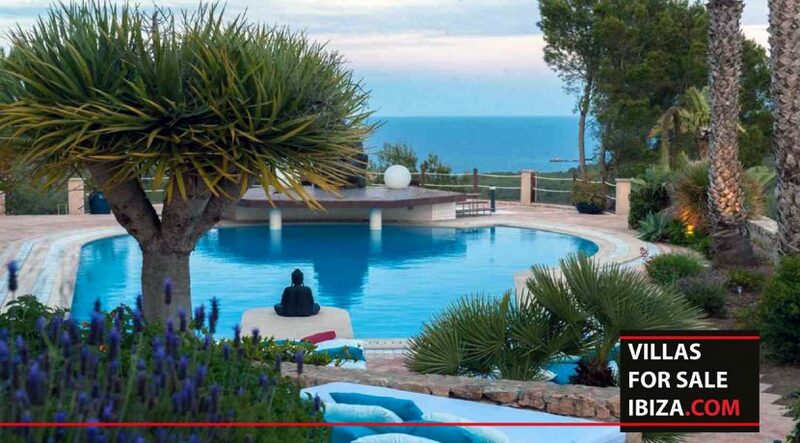 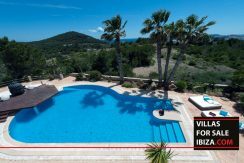 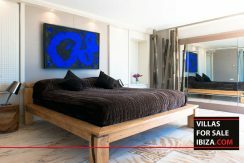 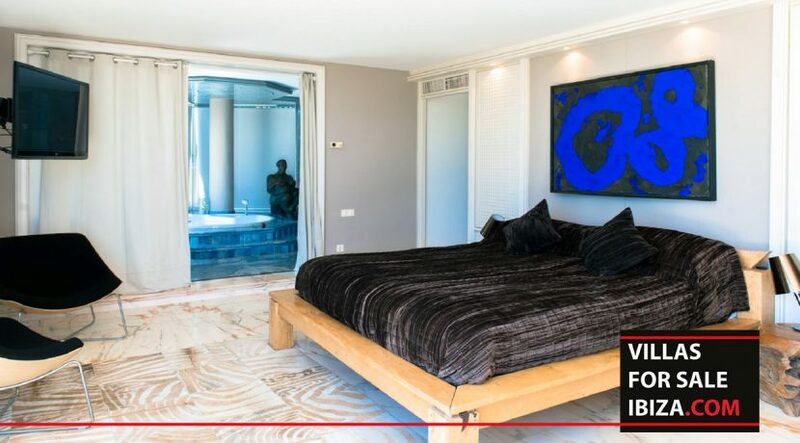 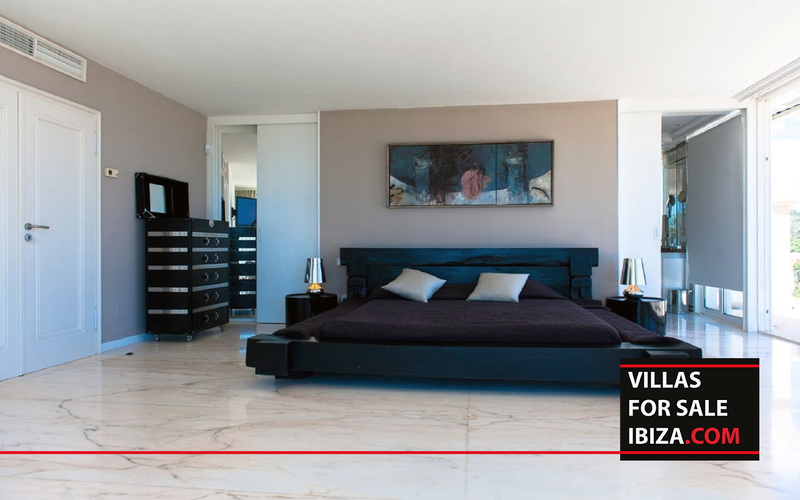 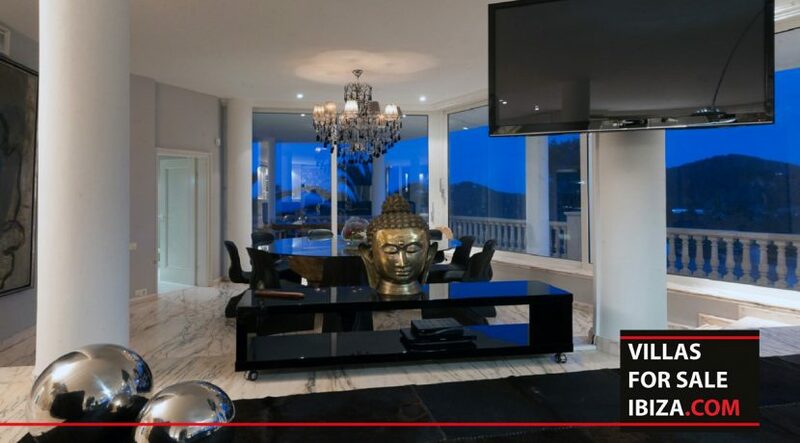 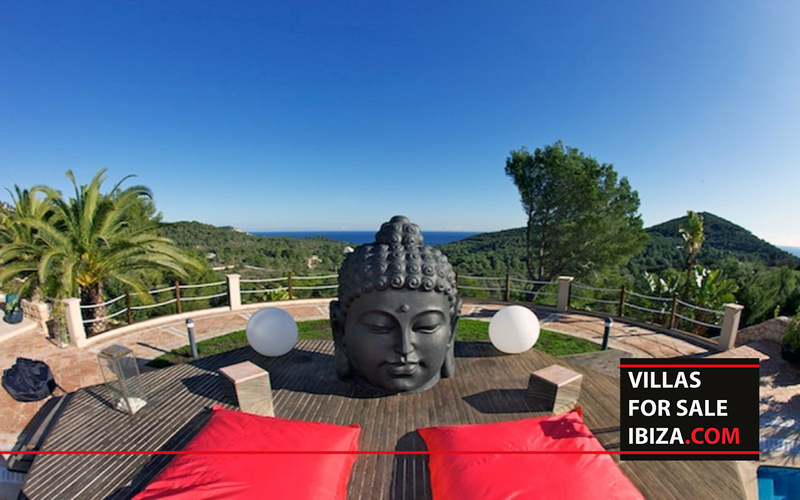 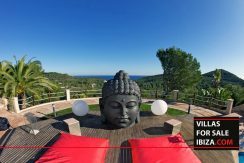 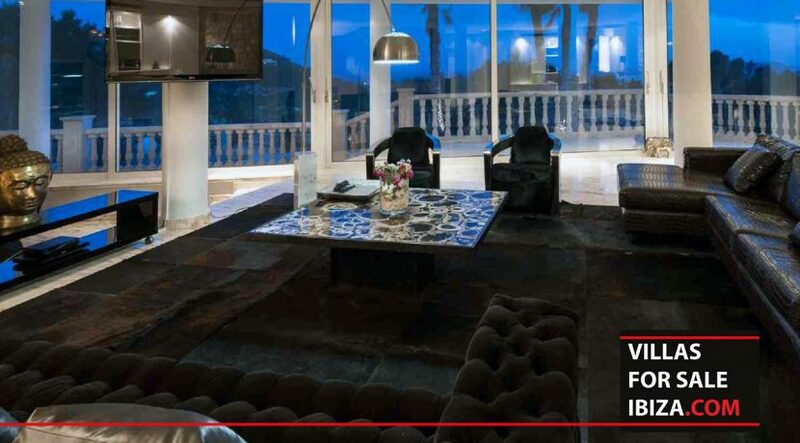 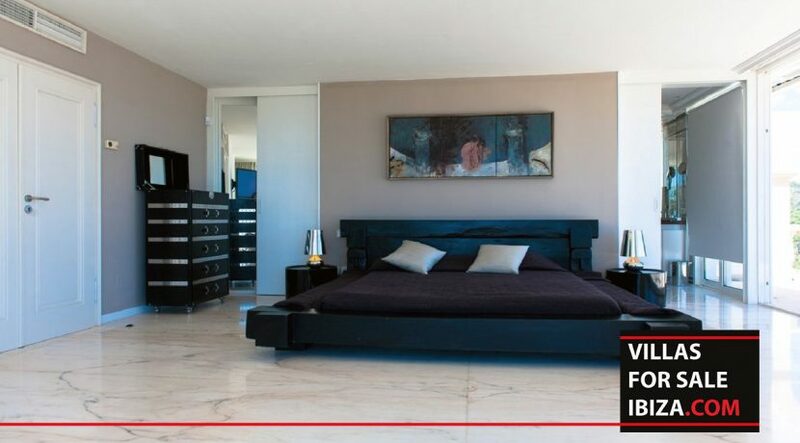 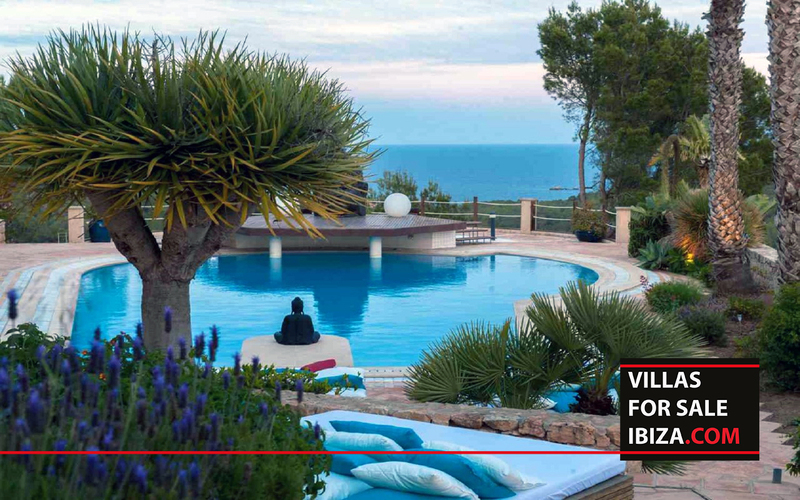 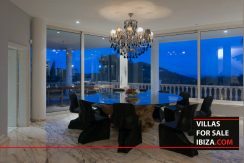 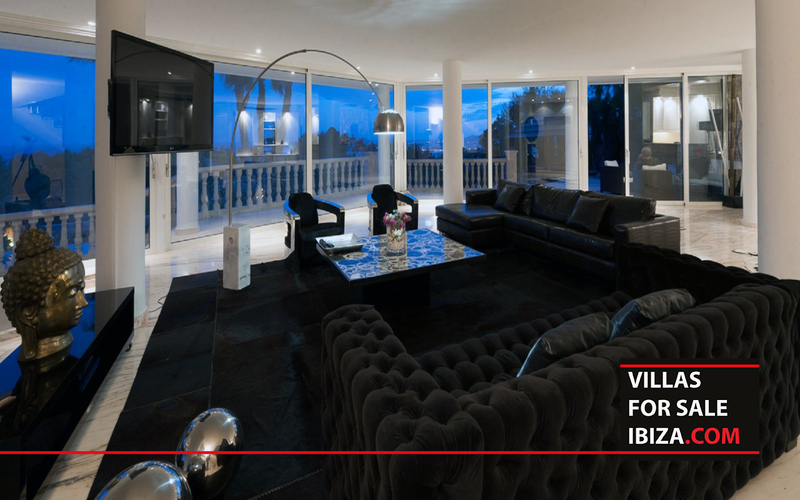 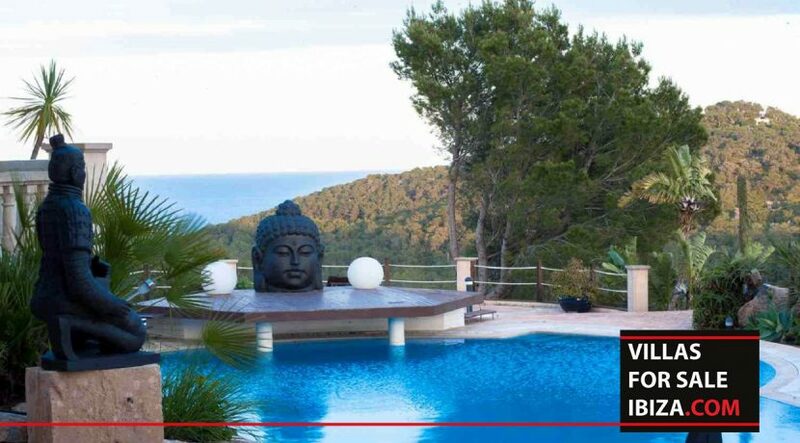 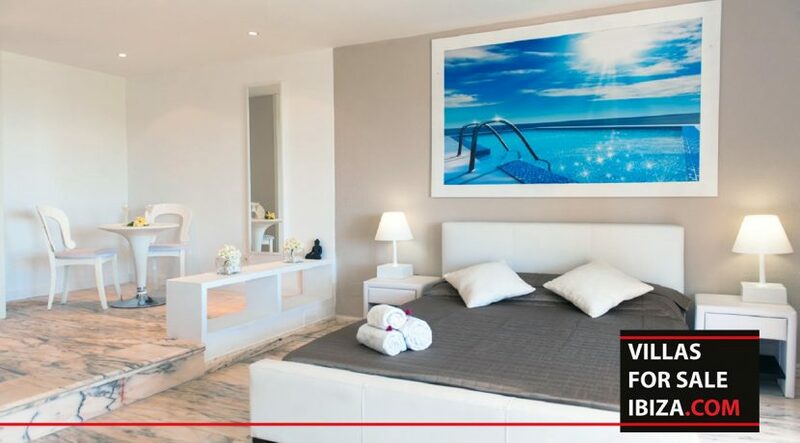 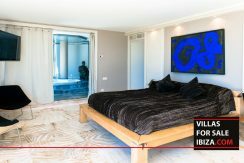 JESUS – FOR SALE .Gorgeous villa with 8 en suite bedrooms in a lovely secluded location with panoramic sea views of 260 degrees.Just 8 minutes drive to Ibiza Town, this stylish property is located in the area of S’Estanyol near Jesus, just 500m from the beach. 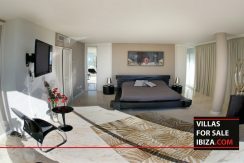 The main house is composed of 2 spacious suites with en suite bathrooms and access to the large terrace on the first floor. 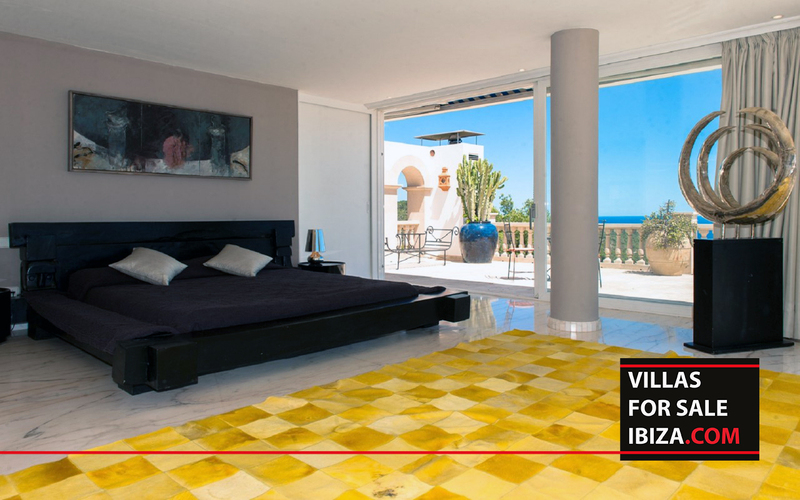 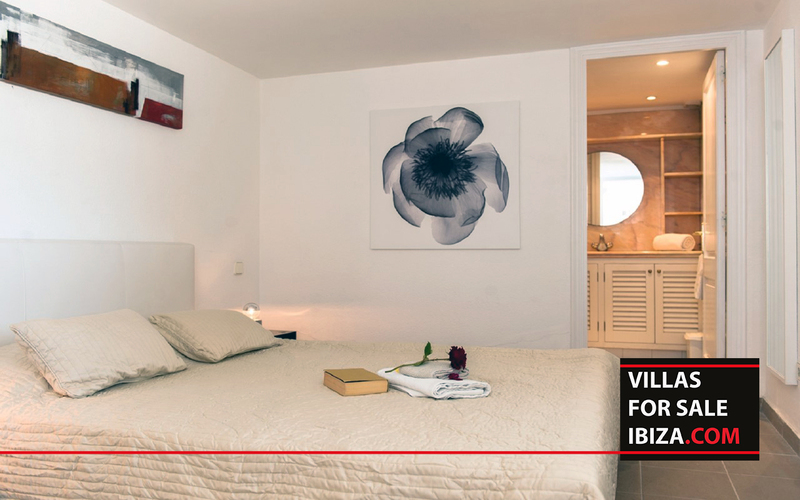 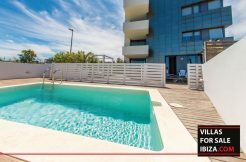 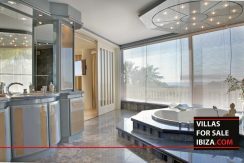 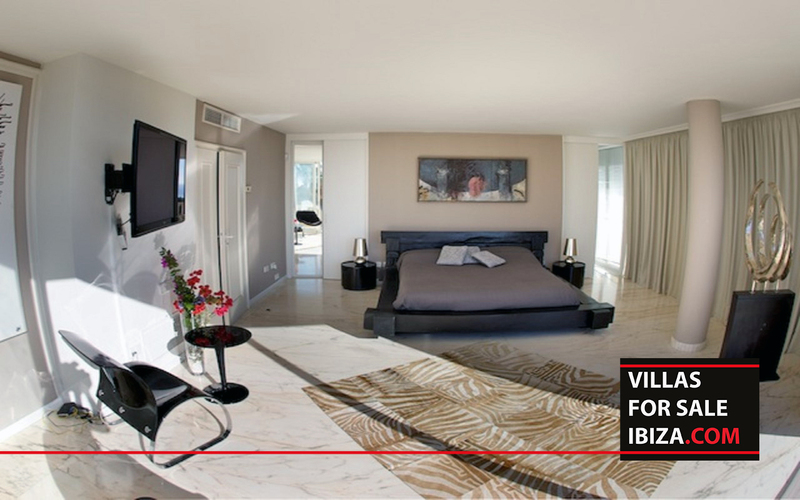 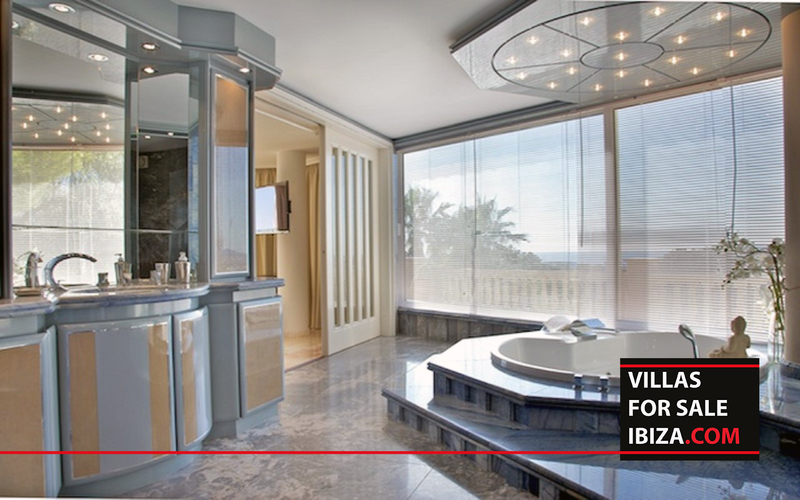 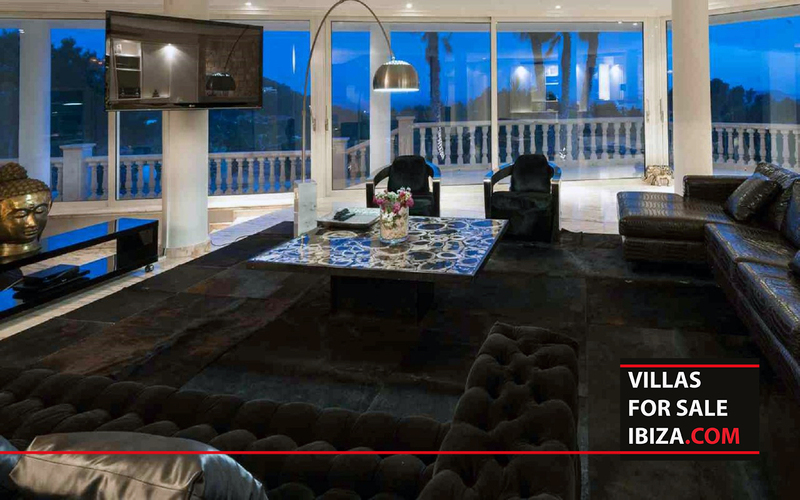 On the ground floor the villa features a substantial living room, a dining room, a fully equipped kitchen, guest wc and 4 separate studio apartments each one with its own entrance, small living area, kitchenette and own terrace. 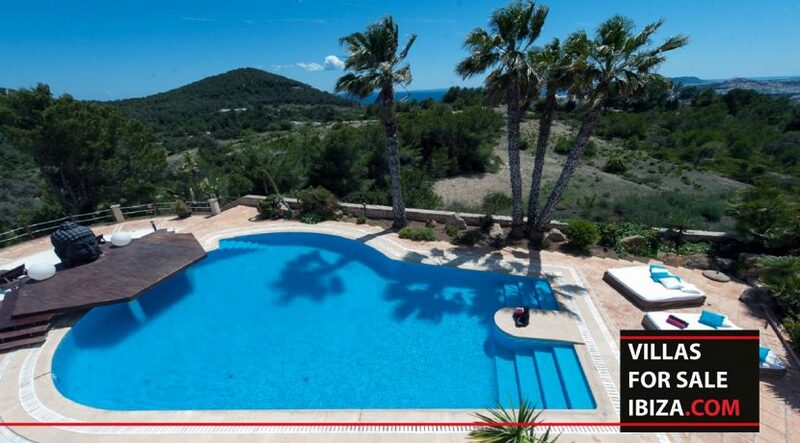 There is a spacious 16 m swimming pool with ample terraces, exterior shower and sauna. 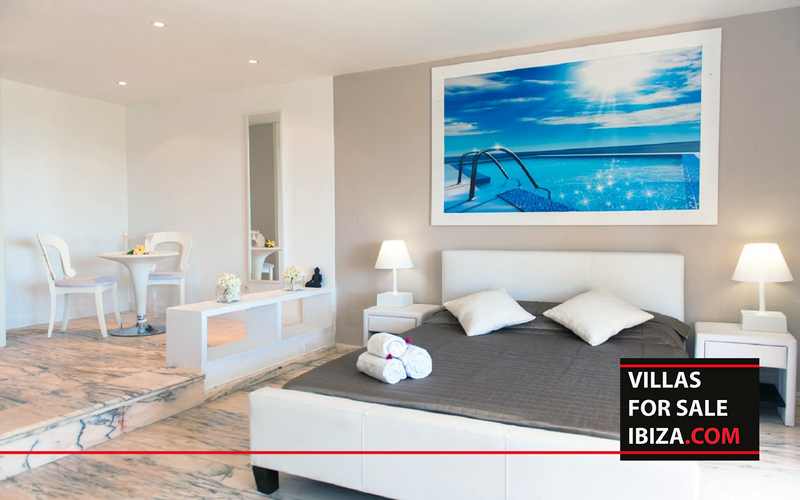 The guest house features 2 bedrooms, 2 bathrooms, living room and terrace and has its own swimming pool. 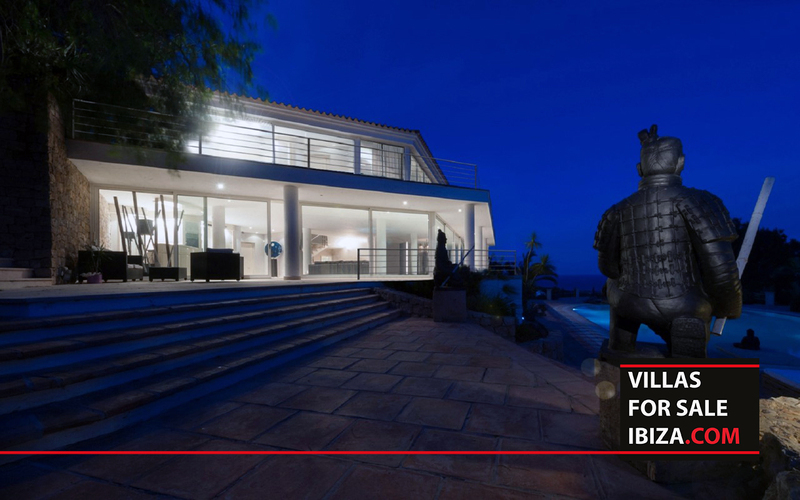 Both houses have air conditioning system, alarm and security system and own well water. 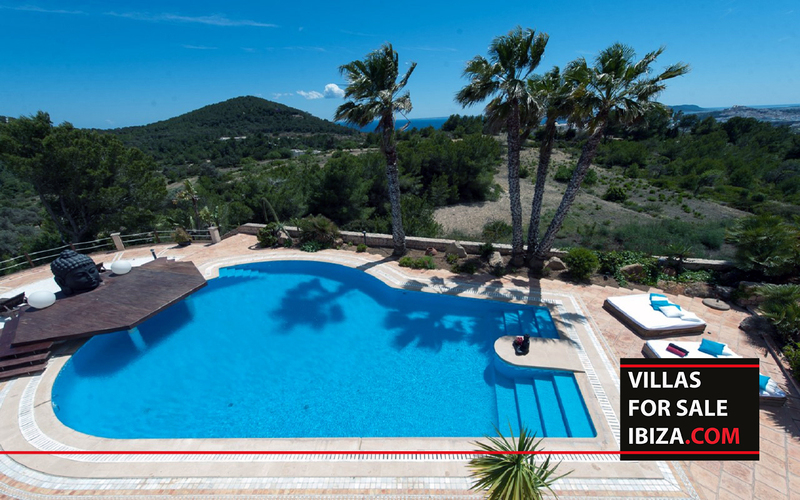 The property is fully fenced with electrical entrance gates. 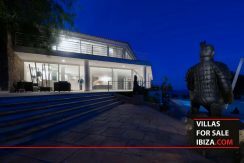 Garage for 2 cars, alarm system, video control, aluminium windows frames, wooden doors, double glazed windows, panoramic windows, oil-fired central heating, air conditioning hot/cool. 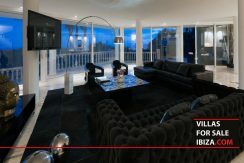 Schedule a viewing for this house.